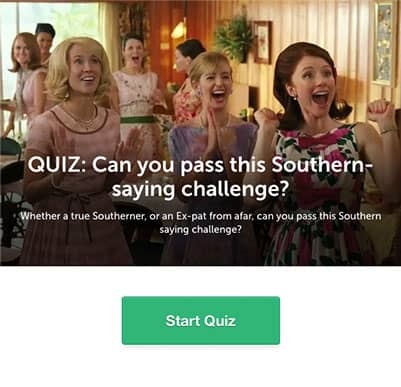 Lead quizzes are a new interactive content format that lets visitors actively engage with content as opposed to passively reading or viewing. For 63% of marketers, lead generation is the biggest challenge in their day-to-day jobs. What’s more, 80% of marketers state that their lead generation efforts are lacking and only somewhat effective! Converting leads to customers is the top priority for 70% of companies out there. As you can see, gathering leads is a burning issue in digital marketing. As content marketing continues to grow, you will have a harder time distinguishing your brand from all the competitors using the same tactics. Ebooks, newsletters, webinars, blog posts, giveaways – you name it, everybody’s doing it. If you don’t want to be part of the unhappy marketer crowd, you need to think outside of the traditional lead generation box. One of the seemingly unlikely ideas for lead generation is quizzes, and it has been on the rise lately. 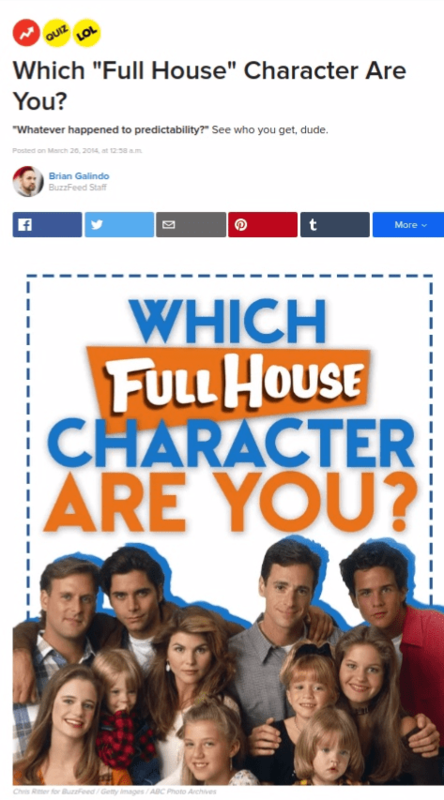 Quizzes caught on and spread like wildfire thanks to Buzzfeed. All of a sudden, finding out how you compare to 90s pop stars or dog breeds has become a great way to pass the time. However, it turns out that quizzes can also be used to generate leads and draw people to your site and products. In fact, the average quiz has a lead capture rate of 33.6%! At LeadQuizzes we help clients generate leads using quizzes. With over 3 million leads generated so far, we learned some of the best practices to use quizzes as a tool to reach a bigger audience and get more visitors, leads and ultimately profit. If you’ve decided to break the lead generation mold and try out something new, the first step is to create your quiz. Before we get into how you can maximize your leads, here’s a quick overview on making a quiz – you can find more detailed instructions in this LeadQuizzes blog post. Before getting into quiz making, make sure you research your audience well. Once you got your audience’s attention with a catchy title, it’s time to get down to the most important part – the questions. Your lead probably came in through social media and doesn’t have too much time, so keep it short and sweet. The ideal number of questions is between 6 and 15 – too many questions will cause users to drop off before the end, while too few won’t get users to share their contact details. Keep the questions relevant to the title, and make them interesting enough to keep the leads yearning to get their results. If you simply provided your leads with their quiz results at this stage, it wouldn’t be very useful. 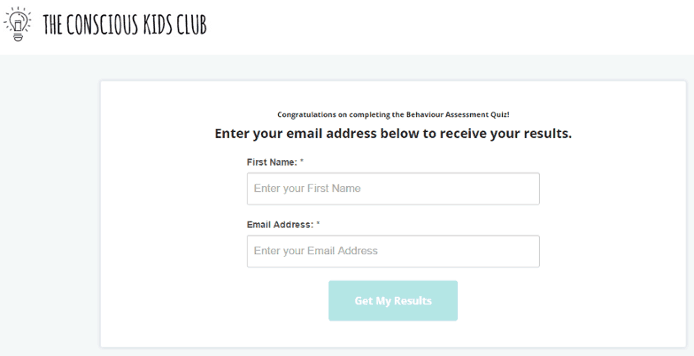 In order to get their results, guide the quiz takers to a lead capture page where they have to enter their contact data in order to get the results. The final touch to a great quiz is a well-crafted results page. For example, if you’re creating a how much do you know type of quiz, the results could potentially be negative. Try to convey negative results as nicely as possible, offering advice for improvement. Which one are you quizzes are convenient in this regard, as all the outcomes can be positive. Finally, the results should steer the lead towards a call to action, such as a sales page, a page where you can schedule a call, or whatever is suitable for your specific business. Once you’ve successfully created your quiz, here’s how to get the most out of it and maximize your leads. In the first of our case studies, we helped Dr Tami. She specializes in hormone therapy and her goal is to change the lives of women suffering from hormonal deficiencies. She had a very successful practice, but needed a helping hand with getting leads to her site. 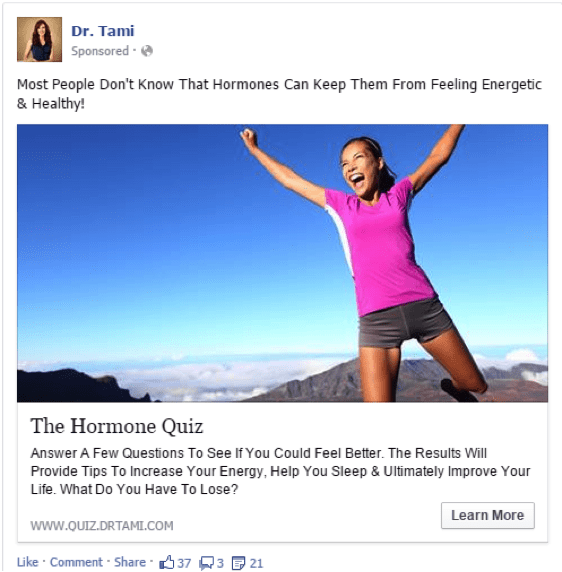 We created a free hormone quiz for Dr Tami and used buyer personas to get it in front of the right audiences. We placed the quiz ad on Facebook and got great results – the click-through rate was over 5% for desktop and 7% for mobile. With the average click-through rate for Facebook reaching only .90%, these results were absolutely amazing. The call to action for the quiz was successful because quizzes feel native to the Facebook platform. We also owe much of the success to Facebook’s Lookalike Audiences feature. For example, women who took great care of their health followed experts such as JJ Virgin, Dr. Mark Hyman, Dr. Daniel Amen and others. We used this information to create one lookalike audience and place the quiz ad in front of those people. We created a total of three audience groups, based on where we wanted them to end up once they completed the quiz. These groups were titled Tired, Energy and Wellness, depending on the hormone deficiencies which were the most likely for that quiz taker. The quiz itself has a total of 16 questions, relating to different types of hormone deficiencies – testosterone, estrogen, adrenal etc. 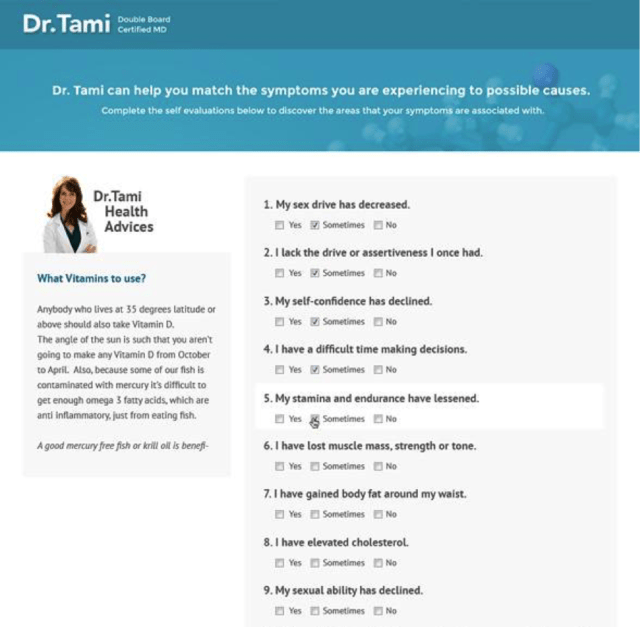 Once the quiz was finished, users were directed to a results page, with a video by Dr. Tami where she thanked them for taking the quiz. Depending on their replies, participants got personalized quiz results, and they were segmented into different lists. In just over a month, 7,772 people took the quiz and 6,086 of them completed it, giving a 81.9% completion rate. The total amount of money spent on ads was $2,996, which translates to $0.49 per segmented lead. In six months, the total number of leads turned out to be 34,657, at $0.19 cost per lead. Not only is this a great cost per lead, but the segmentation helped her direct her leads to the perfect resources for their situation. Dr. Tami was able to guide her leads to specific landing pages with products suiting their individual needs. Eventually, her book, The Hormone Secret became a national bestseller, thanks to the amazing growth in her email list. Chances are, your first quiz will be far from perfect. You have to craft the right number of questions, the right results page, an engaging call to action, a great lead capture page, a strategy for advertising channels and much more. To get all of these right, you will need to do some A/B testing. Bourbon and Boots is an e-commerce store selling different types of goods related to the old South. Before using quizzes, their cost per leads was $1.50, which was hardly a scalable option for growth. Instead of relying on a single quiz, Bourbon and Boots created a total of seven. What’s more, instead of focusing on just one medium for advertising, they focused on three. And finally, they made multiple buyer personas for different types of products they were selling. Testing out variations worked out magnificently. One of the seven quiz versions ended up getting 26,663 shares, which led to a total of 23,675 leads. And all of this happened within three weeks. In this period, the largest number of leads came in through Facebook. However, this wasn’t exactly a revolutionary finding. Pinterest turned out to be the most affordable source of leads for this company, at $0.03 cost per click. Their Pinterest quiz, titled Can you make it through this quiz without calling your Dad for help? ended up being a huge success. The final bit of experimenting relates to quiz topics. Instead of focusing just on sales, Bourbon and Boots focused on making quizzes they thought their clients would enjoy taking. One of the categories that sold well was Thelma and Louise products. 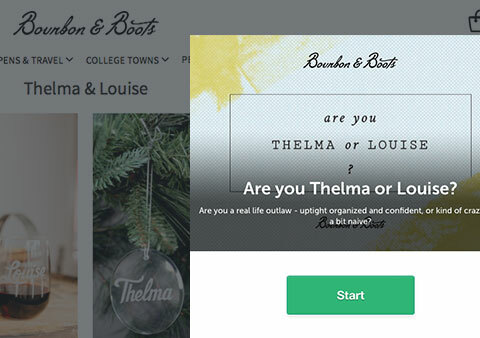 They used this info to create a buyer persona and craft a quiz titled Are you Thelma or Louise. The final result of all of these tweaks was nothing short of amazing. The quiz generated 35,752 leads in just three weeks. One of the main reasons why Bourbon and Boots succeeded in their quiz making efforts was their focus. Instead of going out of their way to stress making sales, they focused on making their quizzes shareable, fun and engaging, eventually leading to specific products. The end result for this company? Bourbon and Boots’ CIO Dustin Raney says that since they have implemented quizzes, revenue has doubled. Based on our clients’ experience so far, Facebook is the most successful channel for promoting quizzes. Thanks to the social nature of the medium, as well as the ability to target very specific audiences, Facebook can give you amazing exposure. 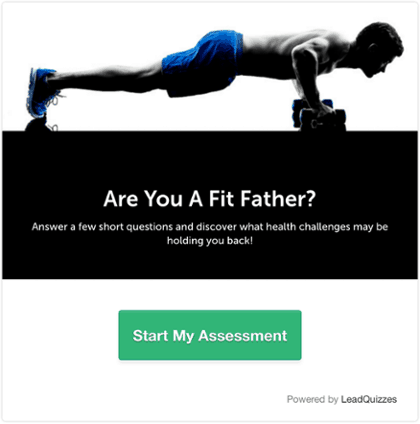 Anthony Balduzzi of Fit Father Project was having a hard time getting leads to his site. He created a quiz which he advertised on Facebook. Once you completed the quiz, you received an email with a pitch for his product. The Facebook Ad generated a good amount of a traffic – a total of 197,354 views and 660 likes. That translates to over 15,000 leads. Over time, Balduzzi’s results got even better. 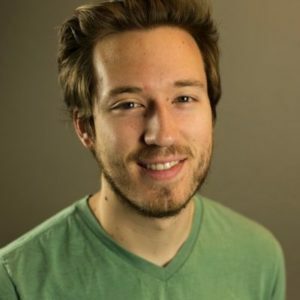 He went from 150 to 2,000 leads per month using quizzes, which translates to $6,000 of revenue per month. For him, the biggest benefit to using quizzes was the ability to massively increase his email list over time. Dr Kellyan is a weight loss expert, which is a pretty competitive market. 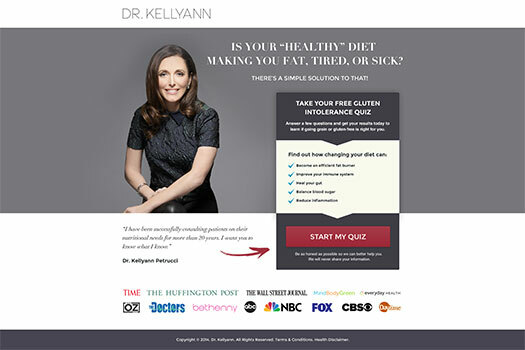 Her gluten intolerance quiz is engaging, informative and just the right length to get people to opt-in their email address. Thanks to Facebook ads, she managed to get 40,145 leads in the course of 5 months, at $0.38 per lead. One of the cool ways to advertise your quizzes on Facebook is video. With over 50% growth in Facebook video viewing, this is an excellent medium for paid promotion. 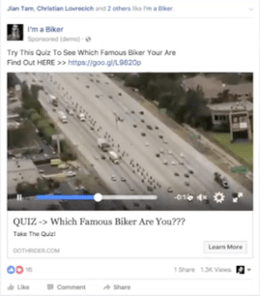 Our client Goth Rider used a video to promote their quiz and managed to pull off 75,813 leads with a 3% sales conversion rate. The game changer for Goth Rider occurred when they switched their means of advertising on Facebook. Instead of advertising from their Goth Rider brand page, they turned to a community page titled I’m a Biker. At this point, the number of leads skyrocketed. The trick is to launch community pages where potential customers are more comfortable with product promotion, compared to a branded page. When they made this switch, their cost per lead came down from $0.17 to $0.04. Not only does video grab attention quickly, it can also be used to track many metrics unavailable with standard image ads, such as audience retention. Goth Rider ended up with a 3% sales conversion rate and $0.03 cost per click. Moreover, the final number of leads was just over 75,000. For this company, the best part about using quizzes was the ability to recoup their ad spend very quickly, as they sold products immediately after the quiz was finished. Facebook is hands down the best platform to get the most out of your quiz. However, don’t think that getting your quiz on Facebook will automatically earn clicks for your questions. Your ad’s success will depend on many factors, such as ad copy, targeting and choice of image. Just a couple of tweaks can make a difference between $3 and $.30 cost per lead. Looking to measure the success of your Facebook Ads? 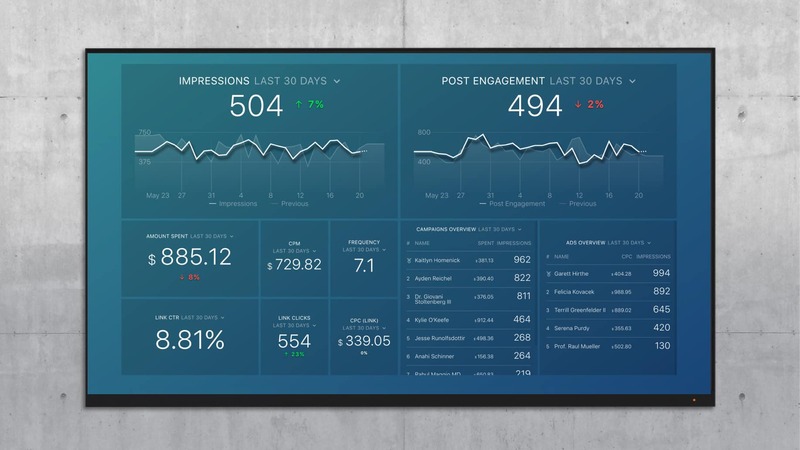 You can use this dashboard to track real-time data for free. In a world of marketing filled with promises of leads and sales, quizzes stand out as an unlikely solution to an omnipresent issue. As a great example of content marketing, quizzes provide value to the visitor while guiding them to your products and services. They are extremely scalable and provide great value for money in terms of cost per lead. 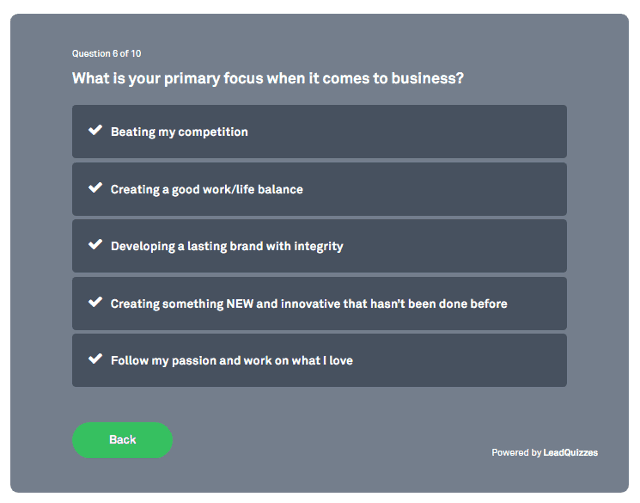 Are you interested in trying out quizzes for your business? You can sign up for a free LeadQuizzes account today! Jeremy Ellens Jeremy is the cofounder of Yazamo, a SaaS marketing company that specializes in generating leads and sales for small to mid-size businesses through their product LeadQuizzes.